As we all know the busy and bustling lifestyles today have made our lives all messed up, everyone seems to be busy all the time, everyone seems to be complaining about no time, this type of lifestyle is not good at all neither for health nor for socializing. No one seems to find time for leisure, family, friends and things they like to do, this adds to the daily stress and long term effects of this type of lifestyle include depression, confusion and low confidence. Other than these health and neurological effects people have forgot to meet their social circles face to face and spend quality time with them, this is weakening the social interaction phenomena, which is very healthy part of busy humans today but sadly it is neglected too. As there is a solution for every problem, so today's messed up and in-disciplined lifestyle can also be balanced by managing time. Firstly, you need to re-arrange yourself, have a clear and focused mind to improve and transform your lifestyle into a balanced one, all my tips on self management can be applied by everyone from all walks of life, whether you are a business man or student, a housewife or a working woman, sports player or online entrepreneur. 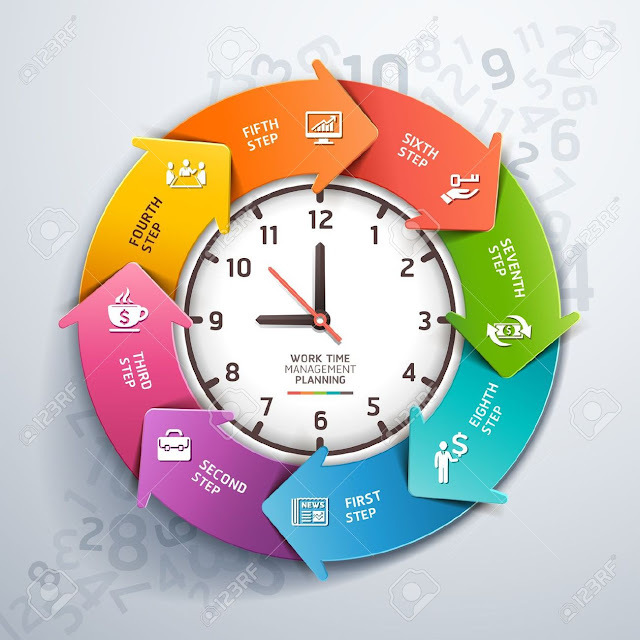 First and the most important point of self management is to improve discipline in your life, multi-tasking can be confusing and results can not be perfect, so try to do things with focus, this will save time and you will get best results. The most vital point is to plan ahead of time, you can create your daily or weekly To-Do list with all the compulsory and important tasks in order of their importance and try to follow it strictly, this is the golden rule in time management, once you follow your daily and weekly schedule you will feel free and relaxed, you will get more time for things you like. But do not continuously keep working give yourself some rest and breath time between the tasks, doing this will not exhaust you and keep your energy levels up all the time, take a tea, coffee or snack break if you like. Before doing any task make a map of it in your mind, how to do it and what do you want out of it, then after completing the task analyse the results, this way you can cover the discrepancies and perform better next time. As soon as you start following your planned schedule and to-do lists regularly, you will start getting rid of the messed up lifestyle you had earlier, you will become more disciplined, stress free and will have more free time to socialize or spend in things you like to do. This will definitely make you more efficient, more creative and productive at the same time more confident to deal with every day tasks and decisions. By being so confident and disciplined you will also become a role model for your followers, your employees, your family members and everyone else related to you, this will add to your satisfaction levels and make you feel great. So kindly start following a plan and make your life easier for yourself as well as for people related to you.